Home » Anastasia Gonis » Australian Author » Imagination » Picture Books » Reviews » Reviews by Anastasia » Vehicles » Review: That Car! 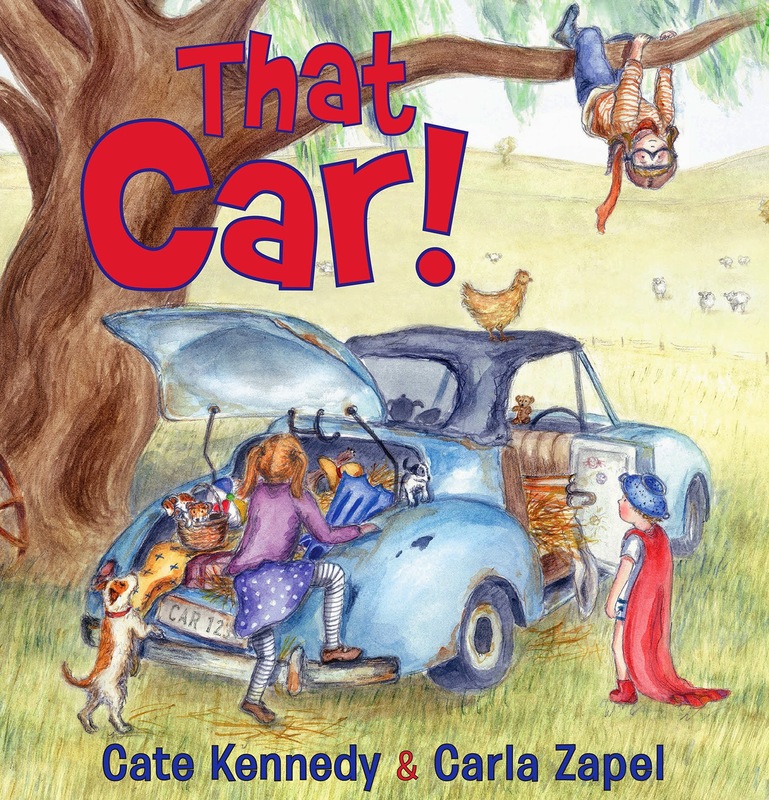 Cate Kennedy’s first picture book for children is stunning. Carla Zapel’s beautiful watercolour illustrations perfectly translate the text and bring it life and movement. The family moves to a farm and discover an old car in the shed. Seeing the car wasn’t going anywhere, dad pushed it under a huge tree for the children to play in. The car became the conduit for many travels through their imagination. They visited the Queen, travelled to Mount Everest, flew over land and sea, went on a safari, and transformed it into a supersonic jet. The best use it had was as birthing place for the family dog’s pups. A delightful multi-layered story which can be interpreted in many ways, this story is made up of images of freedom. It depicts the importance of play, invention, and imagination. They are the parts the children actively enjoyed. They shared this travel information with the car’s former owner, Mrs Crosbie. She in turn shared her memories and stories that involved the car. That Car! is also about shared experiences between the young and old from each perspective, and the importance of memory and recollection. But perhaps I see something more; an underlying reference to the value of a person or thing, no matter how old they/it is.